What is the difference between glossy and specular reflection? What is their relations with BRDF? 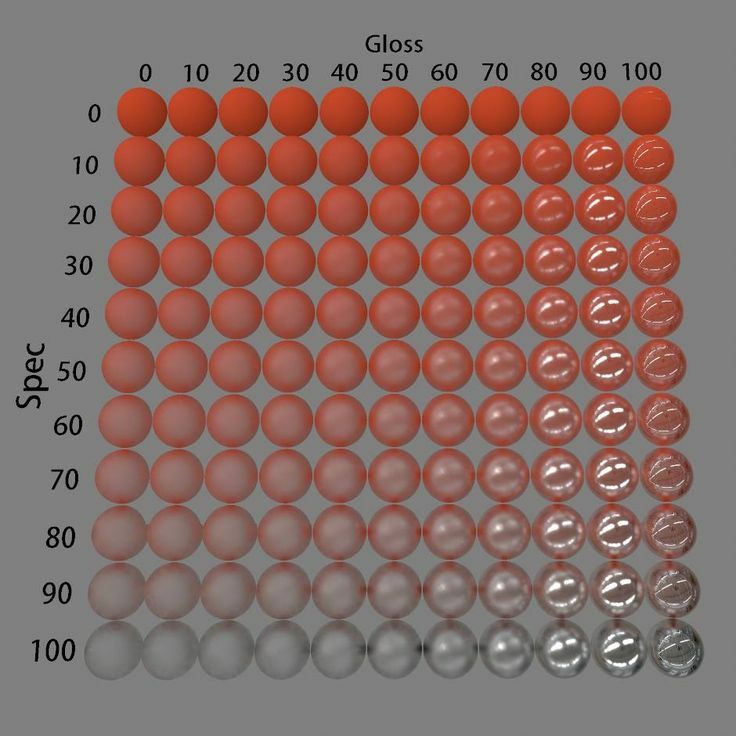 The charts you show aren't showing two different phenomena - "glossy reflection" and "specular reflection" - they're showing two parameters of specular reflection. One is the specularity or specular colour and gives the amount or brightness of the specular reflection. The other is the glossiness or roughness and shows how sharp the specular reflection is. Put another way, if you picture the curve of the specular reflection over changing angle, the specularity (the vertical axis on your charts) gives the height of the peak - the maximum brightness - and the glossiness gives the width of the peak - the size of the highlight. The highlight gets narrower with increasing glossiness, whereas roughness is the inverse of this. BRDF is more general: it's a function that tells you how much light is reflected in a given direction (view direction) from a given direction (light direction). Usually (for most materials) we approximate a BRDF using a diffuse term and a specular term. Gloss and Specularity are features of the surface. In modern PBR terms we usually refer to the smoothness and metalness of a surface instead (unless you use a specular workflow, then metalness is still linked to specular). 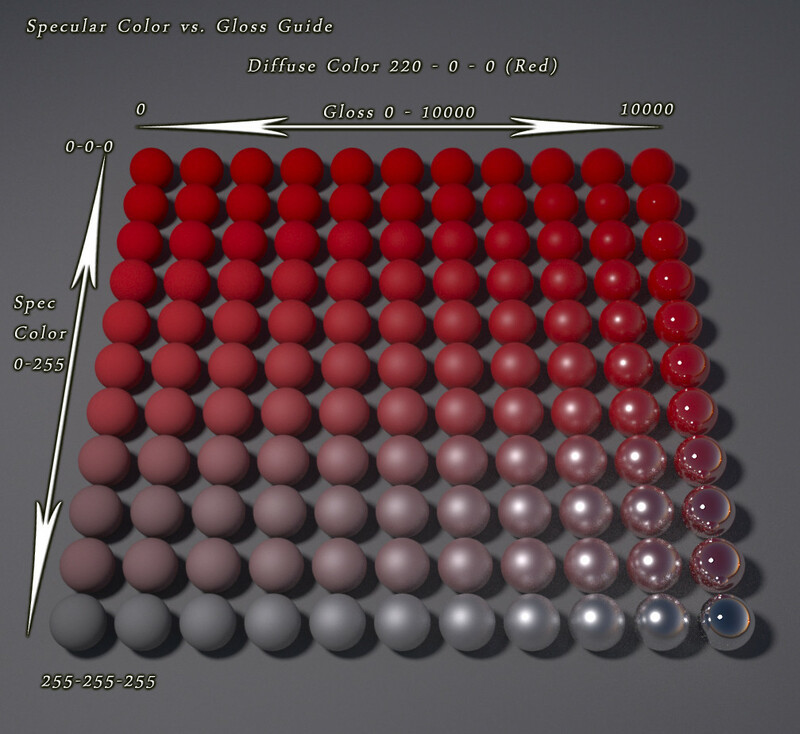 Basically, dielectric surfaces reflect around 4% of light in a specular way, and the rest is diffuse. Metallic surfaces reflect no light diffused, and all specular. Specular light bounces directly back to the eye and shows clear reflections of the environment more. Diffuse bounces around a lot more and therefore gives a more matte result. Gloss is another term for smoothness of a surface. When a surface is rougher its specular light is bounced all over, and so the reflection appears more blurry. 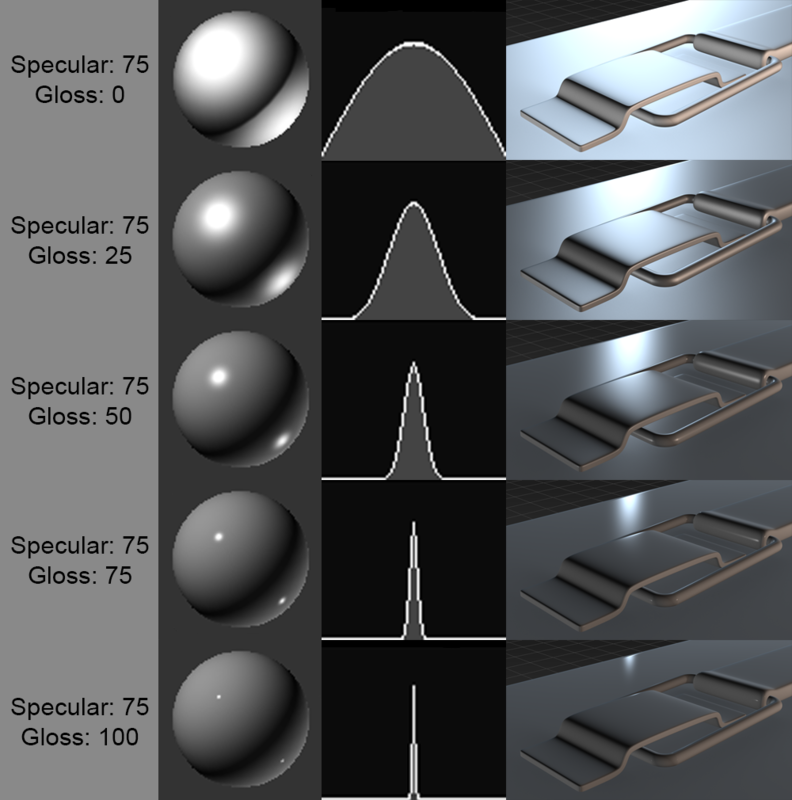 TL;DR: Specular is how shiny it is and usually is higher with metals. Gloss is how clear the reflections are. Keep in mind that there are some surfaces that don't fall into the metalness workflow, especially when they have a coat on top. There are also materials in between metal and dielectric (semiconductors / metalloids). In the book Computer Graphics Principles and Practice, they use the term specular reflection when they want to imagine things resembling a mirror and glossy reflection when things like a polished door knob or an orange skin. The charts shows you exactly that. When a material has more specular color, it should have less diffuse color due to the conservation of energy. That is, the sum of the light reflected specularly and light absorbed and emitted in random directions must be less than equal to 100% (the amount of light incident on the surface). Hence when you increase the specular color the material tends to go white or have a slight tint of the color like in metals. Where as glossy surfaces can have more diffuse color but show a specular highlight like the surface of an orange skin. So assuming the CGPP's point of view, we can say in pure specular reflection, the diffuse part is much less than the glossy part. Where as in glossy reflection the diffuse part is usually greater. Not the answer you're looking for? Browse other questions tagged brdf reflection specular material or ask your own question. Should not specular reflection on a rough surface be similar to diffuse reflection?